Who is the most popular teens today? Justin! Who is the richest teens in Hollywood today? The answer also Justin! And even with the popularity and hard work he was doing, crazy teen singer who many teenage girls around the world are able to reap the many advantages that make it able to occupy the 'throne' richest teens of Hollywood Entertainment. 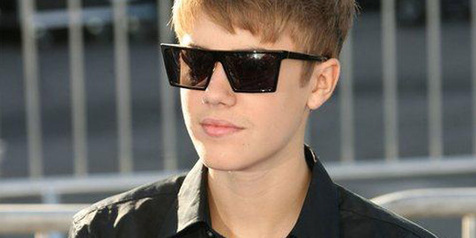 Bieber recorded a $ 53 million last year, beating its own Miley Cyrus and her lover, Selena Gomez. Justin reported revenue rose sharply after the release of the movie, NEVER SAY NEVER, also from the sales of her perfume, Someday. Meanwhile, Miley bringing home $ 48 million and occupies the second position. Although only pocketed $ 5.5 million, but Selena could still stand in the ranks of the richest teens of this. Besides them, there are Jaden and Willow Smith, who gets $ 9 million, also Nick Jonas who successfully earned revenues of $ 12.5 million.